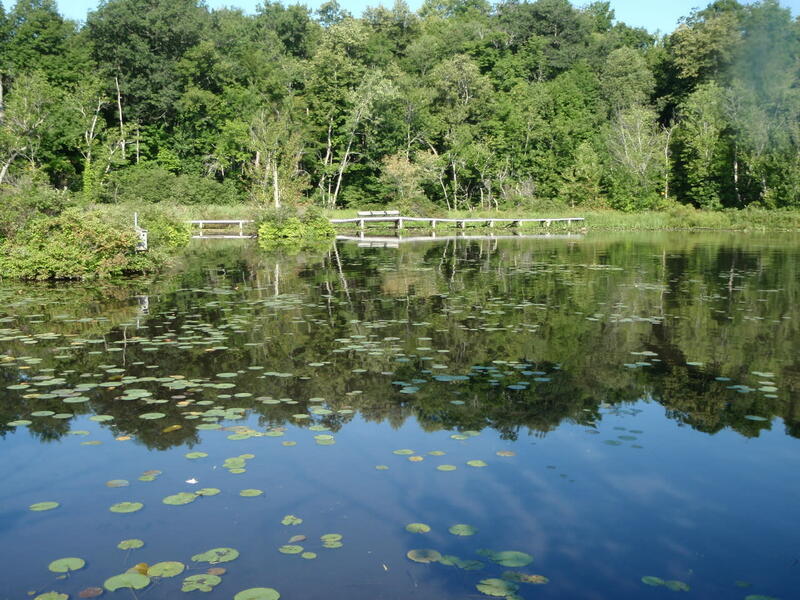 Goodyear Swamp Sanctuary, a wetland at the northwest end of Otsego Lake, is managed by the SUNY Oneonta Biological Field Station for research and education. 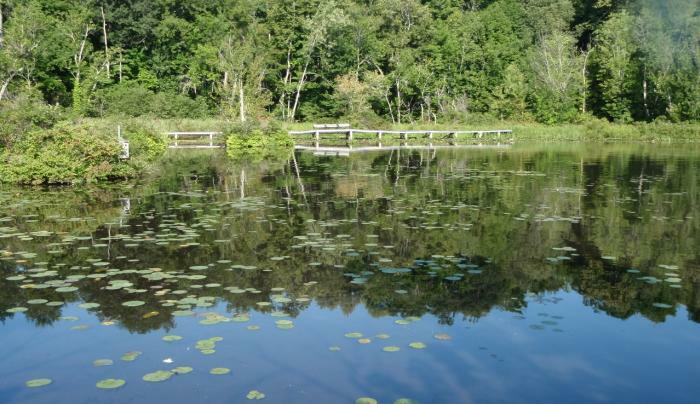 It provides protection to rare plants and animals and helps maintain water quality in Otsego Lake. Recreational Activities at Goodyear Swamp Sanctuary Hiking Access From Cooperstown, drive 8 miles north on State Highway 80 to The Glimmerglass Festival. Park in the Festival parking lot on the west side of the highway and cross the highway to the south entrance of the Festival grounds. Please do not park along this driveway. Access from the lake is also available, via a forty-foot dock. Trails A system of trails and boardwalks provides a moderate walk of over .25 miles in which to observe more than 200 species of large vascular plants, thousands of invertebrate organisms, as well as waterfowl, fur-bearing mammals, amphibians, and reptiles. A tour booklet is available at the entrance. Do not leave the trails or walkways; soft mud two to six feet deep may appear firm, and poison ivy is the dominant plant in some spots. Please respect research sites, usually indicated by red-flagging of posts or vegetation.